Throughout the manufacturing process, it is very important to understand the impact that all operations will have on said process, the dependencies among them, the sequences they follow, etc. Having this under control is key to avoiding problems of overload in work centers, unnecessary shutdowns, and incorrectly assigned tasks. This is where the new application Lantek MES Monitoring comes into play. Lantek MES Monitoring is an online application that, as the name indicates, belongs to the Lantek MES family. 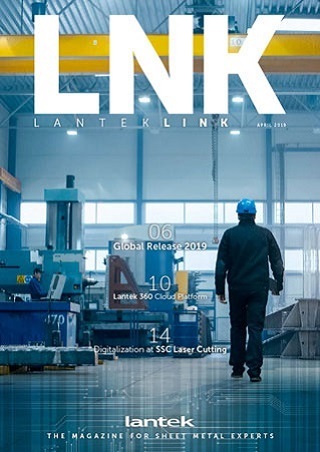 To be more precise, it could be considered a new module of Lantek MES Manager, as we launched it from this application and it helps monitor the operations in the production process in real time and in a more graphic form. 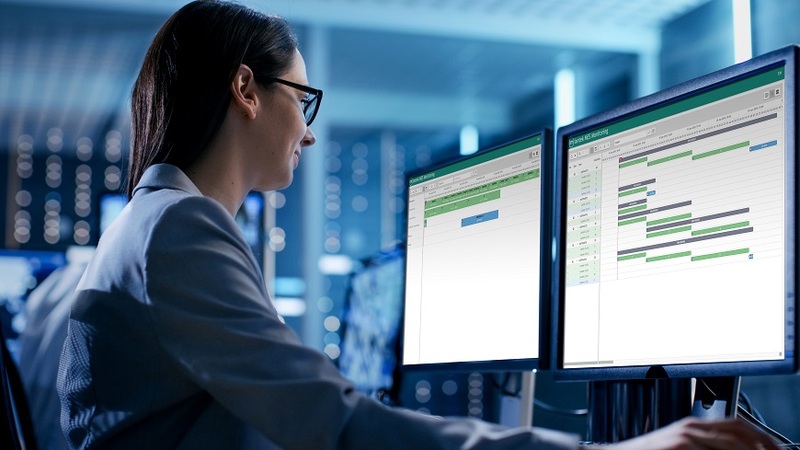 Its Gantt charts offer a new perspective on Lantek MES Manager data, and with this data any incident or problem that may arise in the sequence assigned to the work centers or in manufacturing orders may be identified. - The work centers view shows a diagram with the operations sequence for each work center. This allows users to always be able to see if any machine has been assigned more than one operation at once as well as the order of the sequence. In addition, this view has a highlight function that highlights the operations based on different criteria, such as only those in the same manufacturing order, the ones that work with the same material, or those being sent to a particular customer. It also allows users to filter the work centers they wish to see and to determine the time scale in which they’d like to see the diagram, among other functionalities. - The manufacturing orders view allows users to view the development of the different orders over time with a Gantt chart. Thanks to this, users can identify the dependencies between the different operations, in addition to differentiating structures and sets, and even types based on whether they are parts for 2D or 3D cutting. It also allows the time scale to be changed and its filter function allows only manufacturing orders with certain criteria to be seen, as well as filtering by order number and article or order reference. - It also offers the combined view, which shows the two views mentioned above at the same time to provide a broader perspective and so that users are able to compare the information in two different forms at once, in a synchronized fashion. All the views offer several useful features that allow the task to be viewed, such as a zoom system and controls that allow one to jump time scales. Users can also update the information they deem necessary, and even program an automatic update system that refreshes the data after a certain amount of time. On the surface, within its representation in the diagram, each operation shows a set of information: its main data such as its reference, status, material, and thickness, as well as other more visual forms such as colors and icons. If, after all that, this is still not enough and a user would like to see further information on the operations, all they have to do is hover over them for an extensive tooltip to appear with all the data on said operation. This way Lantek MES Monitoring is able to create a very detailed system for viewing the information that is easy for users to understand. Delving into the more technical side, it should be mentioned that the application was implemented with the most advanced technology in the web development world, following the line of the new applications of the Lantek 360 family, which ensures its fluidity and precision. It should also be noted that it can be launched in any of the most well-known browsers, so users won’t have to change browsers. In short, Lantek MES Monitoring is a very intuitive and visual monitoring tool that is expected to be the first in the future line of applications aimed at improving visualization and user experience, above all, to optimize the planning of the entire manufacturing process within workshops.